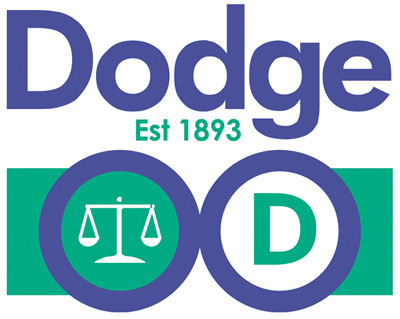 Dodge is very pleased to announce it has agreed sponsorship of the AAPT website for the next two years. Dodge, a leading supplier of chemicals, equipment and consumable items to the death care profession sees this as a natural progression in its daily business activities. Managing Director Craig Caldwell said “We enjoy very good working relationships with APT’s across the UK and see this as a way of further supporting them in their work”. “The AAPT provides training, support and a great network for APT’s to be able to contact one and other and share problems, techniques and developments in the profession and this is something that we strongly believe in”. Founded in the USA in 1893 by the Dodge family, and continuing under their ownership to this day, Dodge is a truly family company, with a network of offices, representatives and distributors across the world. Utilising qualified and experienced sales consultants, Dodge aim to provide a bespoke service to its clients and help them in any way. Sales Consultant Ben Whitworth said “When we get requests for specialist instruments, or products that deal with a particular issue, whether it’s controlling odours or dealing with maggot infested cases, being able to deliver a reliable solution is very satisfying. Everyone has different needs and my colleagues and I all enjoy finding products and solutions to deal with these". Whatever your needs, the team at Dodge are well placed to help and there is no challenge too big or too small for them. Whether you need a packet of eye caps, cosmetics, and instruments or are looking to completely refurbish your Mortuary or Post Mortem Room, Dodge has the experience and ability to help you. AAPT Council Secretary Christian Burt said "I was so delighted to meet Craig at the AAPT Conference 2014 and discuss potential sponsorship of the Association website. Dodge have keenly supported the AAPT both locally and at national events, and I encourage AAPT members to visit the Dodge website"